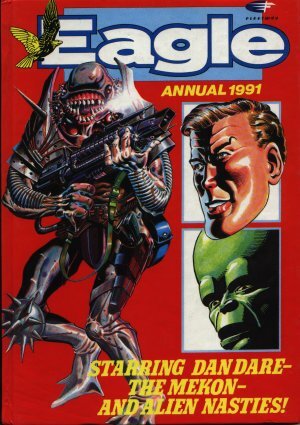 Eagle Annual 1991 sees the Mekon get his own story, but in black and white so as not to detract from Dan Dare, the main hero. Hitler and President Kennedy appear their own pages and we see the Royal Marines in action. Maximum use of the exclamation mark in the contents list!